So argues Ivan Macfadyen, an Australian yachtsman whose voyage across the Pacific Ocean is detailed in a recent and popular newspaper article from the Newcastle Herald. The article, a few bits of which I’ve excerpted below, presents a tragic portrait of our oceans—barren wastelands of trash and debris, with not a tuna in sight. 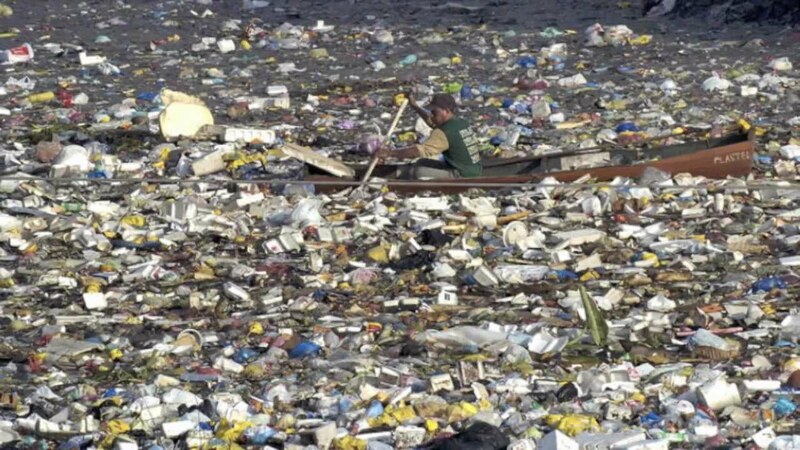 A leisurely boat trip through the Great Pacific Garbage Patch. ‘”After we left Japan, it felt as if the ocean itself was dead,” Macfadyen said. It’s an unambiguous statement. The ocean is broken. Not breaking, not ‘in peril’ or somewhat threatened, but actually broken. The strength of Macfadyen’s words has stuck with me since I first read them, niggling at the corners of my mind. Broken—what does that even mean? Because what am I, what are all of us, supposed to do with this information? I’m sitting in a comfy chair in my climate-controlled home, underneath a blanket that probably polluted some Chinese river with its byproducts and to top it off I’ve probably forgotten to turn off a light somewhere, so I’m wasting electricity, and I’m reading an article that’s telling me 70% of the Earth’s surface is broken because of all the ‘me’s’ in the world. I feel guilty, and bothered, but also annoyed that I’ve been yanked from my normal state of complacency. It’s comfortable and easy for me to tell myself that being a marine science graduate student means that I’m helping the ocean. And maybe I am, who knows. But if I’m honest with myself, one of the faded, warped plastic water bottles that nudged up against Macfadyen’s boat was probably mine. 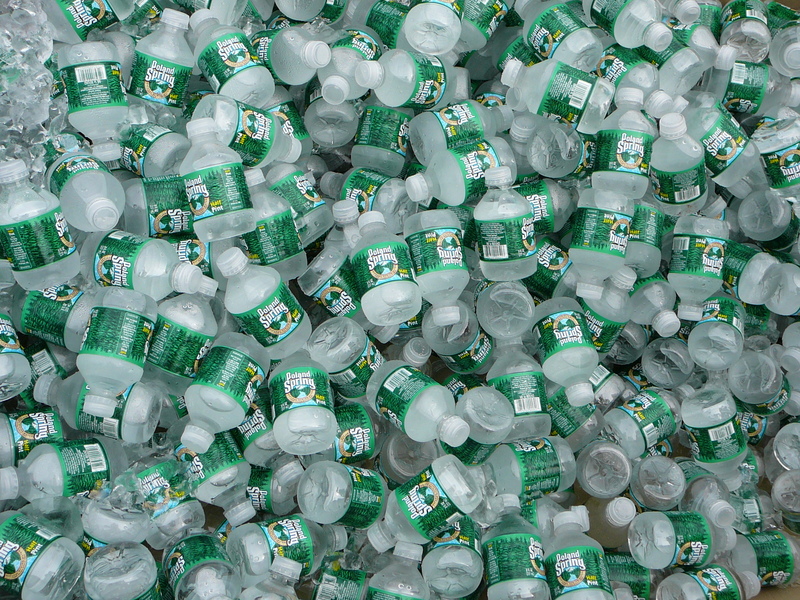 A portion of the water bottles I’ve used over the years. But again, what can I do? I read these kinds of articles all the time and they’ve deadened me. The ocean is broken—what’s the point of trying to fix it? And although I think the Herald’s article is powerful, I’ve ended up taking issue with it. People like stories that are black and white, all tragedy or comedy or awkward coming of age romance (whatever floats your boat). And I feel that this particularly applies to the scientific community, especially in the process of communicating science to nonscientists. Straightforward stories grab your attention more easily than the messiness of reality. But the truth is never simple (I might be happier if it was, since it would make my research whole lot easier) and I think that it is a mistake to present our oceans as broken without qualifying that statement. I want to remember, when I read that poaching is on the rise see photos of elephants, cruelly mutilated and tuskless, when I cross a creek near my home and see trash floating in it, when I read about the oxygen-less ‘dead zones’ growing in our estuaries, I want to remember that there is always hope. It sounds mopey and maudlin, and it makes me feel silly to write those words, but for pessimists like me it is something that I need to be reminded of. When we despair, we stop trying to fix all the broken things. “Let’s just take to the stars,’ we say, ‘screw Earth. Space travel is where it’s at.” Although that option does sound completely awesome, for the time being this planet is all we’ve got. The ocean is not broken. It is not well, for many reasons, but it is not broken. The saddest thing I can do (sadder than the sad whale from the article, even) is to shrug in resignation. The saddest thing is when I toss my water bottle out the car window and leave it to eventually join its many oceanic brethren, clustered ever more thickly around Ivan Macfadyen’s boat. A point another article makes, which I like and agree with, is that our oceans will not be saved through actions out at sea, but rather through the everyday decisions we all make as we choose to buy, sell, throw away, or save. Our wants as consumers are what will determine how much trash enters the ocean, just as the quantity and type of fish we choose to eat will determine the extent of overfishing. Tags: news, pacific, Science. Bookmark the permalink. Previous post ← Photography Friday: Can you spot the hidden predator? As always, KEllis makjes us think about more than just our own “small worlds”.. I too am upset about what is transpiring in our oceans and our estuaries. It is mind boggling how man can always manage to “kill” the environment everywhere he/she goes. Good job pointing this out, Kelsey.